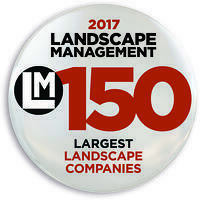 Greenscape Inc. is an award-winning commercial landscape company based in the Triangle. We have proudly satisfied our Design, Build and Manage landscape clients with “Outstanding Results Through Great Service” since 1979. Greenscape was founded by Michael Currin as a spin off of a garden store in Fayetteville. Three years later the company was so successful that it became a separate company. Today we are headquartered in Holly Springs, NC and have over 100 employees. Read more about Greenscape’s first 35 years. Our happy customers say our projects are on time and done right. Greenscape Inc. provides landscaping for commercial properties throughout Raleigh, Durham, Cary and Chapel Hill. We meet the landscaping needs of homeowner’s associations, apartment complexes, office buildings, and retail complexes.